Yahoo has been in news with some amazing acquisitions since few months and now it is going forward for a beneficial partnership deal with Yelp. Yelp is most popular for providing people with local reviews. 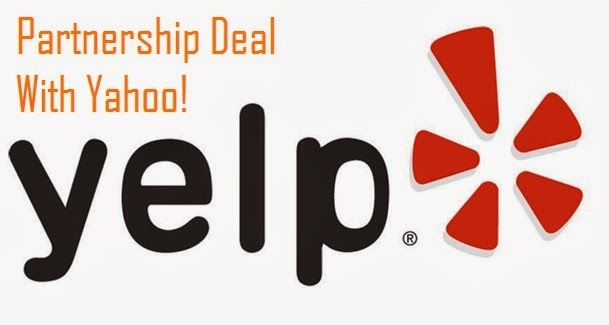 Wall Street Journal and some other sources have reported Yahoo is going on a partnership with Yelp. San Francisco-based Yelp‘s local review system will be integrated with Yahoo local search. It means when someone is searching for a service or product in their local area through Yahoo, the review system from Yelp will be used to help searchers by providing the results. Before partnering with Yahoo, Yelp has already entered similar partnership deals with Microsoft and Apple. Yahoo has not unveiled this news to public.